In this extended online story, meet four dynamic musicians who bring our region so much fine music. Discover what drives their passion for music, and how their work is exciting young people. Maestro Steven Larson, musical director of the Rockford Symphony Orchestra, carefully researches each piece of music the orchestra plays. *Editor’s Note: This online edition contains extended interviews from our in-print story. We hope you’ll enjoy this extra insight, and the additional links we’ve embedded below. The Old Northwest Territory is rife with opportunities to experience world-class live performances, from award-winning local orchestras to community-centered performing arts organizations. 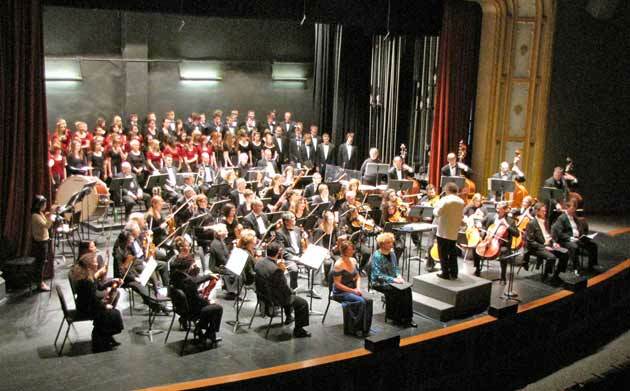 Northwest Quarterly sat down with leaders of four such groups – Rockford Symphony Orchestra, Beloit Janesville Symphony Orchestra, Rockford Coronado Concert Association and Mendelssohn Chorale – to better understand the passion that drives them and ask about the state of their arts. Maestro Steven Larsen is in his 21st season serving as musical director of Rockford Symphony Orchestra. A Chicago native, he was the first to earn Northwestern University’s Master of Music in Orchestral Conducting degree. He has twice been named Illinois Conductor of the Year by the Illinois Council of Orchestras. Among many other accolades, in 2005, he received the Mendelssohn Performing Arts Center’s Star of Excellence Award, adding his name to a list that includes his wife, Martha Bein, who received it in 2004. NWQ: Describe a typical day in the life of an orchestra conductor. Ideally, it starts out with me checking email. Then I look at the news – not just world news, but [music] industry news, culture and art news from across the world. It’s vital to keep current on trends. Then I spend a couple of hours studying scores, pieces I’m about to work on, or scores I’d like to learn. A couple of hours a day are spent on research – of a particular piece, a certain style, a particular part of a composer’s life. In order to understand a piece, you have to know what was going on in the composer’s life when he wrote it. Some composers wrote pieces that flowed completely independently of their lives. Mozart is one. He had a lot of ups and downs in his life, but those are never reflected in his music. NWQ: So Mozart was strictly a money-making composer? Yes and no. He wrote more than 600 works, some small, some large, and except for a handful, all were written only to make money. Toward the end of his life, he wrote only what he wanted – didn’t care what his audiences wanted to hear – and it didn’t always serve him well. He was a singular genius. He would write a piece in his head while playing billiards, and go home and write it down, without any changes. There were never any scratch-outs on his scores. And while he was writing that one down, he’d be composing another work in his head. NWQ: How does your research affect the piece? It improves my understanding of a piece and how I conduct it. I don’t know if it’s something people can hear, or if it just helps me understand it more. The deeper your understanding, the more meaningful your performance will be. That comes with research – the more you know about a composer, a piece or style of music. When reading a compostion, music notation is very easy. Composers can indicate the note, the pitch and the rhythm fairly accurately. Style and tempo are less accurate. How much space do you give between notes? How long do you hold a note? Fermata, for example [a musical symbol indicating a hold]. I remember being given the formula in high school, that you double the length of the note or rest, or hold it half again as long. But what I learned from doing opera is that a fermata means that time has stopped. NWQ: How do you choose the music to play each season? People ask me this a lot, but the answer is never simple. So here it is. We do six concerts per year. The average concert has four works. So that’s 24 pieces out of a possible repertoire of about 100 masterpieces. If I reach beyond those, that’s about 1,000 possibilities. I start with the pieces we have to do. Those are ‘wannas’ – I’ve always wanted to do them – and ‘gottas’ –it’s a composer’s birthday or a work’s anniversary year. Then there are pieces that members of the orchestra or audience have asked for. Next, I check my spreadsheet for the last five years or so, to avoid repetition. I also look for missing pieces. Who have we neglected? Maybe we haven’t done Italian composers or British works for quite awhile. I strive for balance. Next, I look at my soloist line-up. I ask if there’s anything they do especially well, or don’t like at all. Particular players always have pieces to suggest. Say a pianist wants to do Tchaikovsky’s Piano Concerto, which is a pretty long piece. That kind of work has two poles, one that attracts and one that repels. Maybe we build the program around Tchaikovsky. Or, since it is a substantial work, it may mean no Tchaikovsky later in the season. It’s like juggling a bunch of balls that you have to keep in the air, and you grab them one at a time and start to put them in place. Themes are always helpful. I’ve always wanted to do a single thematic season. People don’t understand music all that well, but they do understand themes. This year’s ‘Tales from the Mideast’ is an example. I started with Mendelssohn’s Overture to St. Paul. Now, Mendelssohn had nothing to do with the Mideast, but Paul certainly did. Then I chose The Rubaiyat, by American composer Alan Hovhaness, based on The Rubáiyát of Omar Khayyám. Khayyám was a Mideastern poet. Finally, we’re doing Rimsky-Korsakov’s Scheherazade, from ‘One Thousand and One Arabian Nights.’ We’re able to cover a diverse group of composers and works, by centering them around a common theme. Then, I start getting phone calls from board members and subscribers, saying how excited they are about what I’ve chosen. And two-thirds of the ‘must-do’ list is scrapped, on the floor. NWQ: Some may think of symphonic music as highbrow, elitist, boring. What is your response to those perceptions? I don’t know if I agree that they think of the music that way, so much as the people who listen to that kind of music as being highbrow and elitist. I look at it this way, also. People who haven’t been to many symphonic concerts will clap. That means we’re attracting new audiences, which is what we want. And they’ll figure out how things work, as they attend more concerts, which is also what we want. I don’t have an iPod. I have an MP3 player. I’ve got a very diverse collection, but it’s mostly on CDs. I have more than 4,000. I actually don’t listen to music very often, because it’s what I do all day. But I love anything ethnic – from bluegrass to Iranian to Eastern European chorale to South African – Ladysmith Black Mambazo is a favorite. I love Janis Joplin. Her “Me & Bobby McGee” is just about perfect. That song has everything – longing, wistfulness, unbridled joy. She was a remarkable woman. NWQ: Like the two white Elvis jumpsuits, one skinny and one fat. NWQ: How does a city influence your style as a conductor? I use two analogies to answer that question. If I were a doctor, I’d be a General Practitioner rather than a specialist. At a CSO, for instance, a Ricardo Muti [artistic director of the Chicago Symphony Orchestra] can afford to be a specialist. But at RSO, I’ve got to do everything, and I must be good at it all. The other analogy is if I were clergy, I’d have to be more of an evangelist than a theologian. Now, I like the theology part – I’m a musicologist at heart – but you’ve got to be practical and get the message out. Maestro Robert Tomaro and the Beloit Janesville Symphony perform with local high school and community choirs in April 2011 at Janesville Performing Arts Center. Maestro Robert Tomaro is the music director of the Beloit Janesville Symphony Orchestra. He works with orchestras all over the world, including recently being chosen as a conductor for a masterclass with the Crakow Sinfonietta in Crakow, Poland. A graduate of Northwestern University and New York University, Tomaro holds a Ph.D. in composition and teaches at Beloit College. He is also a composer and jazz guitarist. NWQ: What is the main job of an orchestra conductor? There are really two different answers, because there are two different aspects to consider. The orchestra conductor can be a guest conductor. I’ve been engaged by the Lima Symphony in Lima, Ohio, to conduct a Christmas concert. So I’ll fly in the day before, never having met anyone in the symphony – ‘Hi, how are you?’ – have two rehearsals, play the concert, and fly out the day after. That aspect of being an orchestra conductor is organizational. I’ll start preparing two months beforehand, working hard on the music, working hard on the arrangements, making sure everything is exactly as it needs to be. In that situation, I’ll have just two rehearsals to get everything straight, so I need to be prepared for any eventuality. So that’s the orchestra conductor, preparing the music, preparing the orchestra. Finally, it’s creating a context in which the orchestra can perform, in concert, in the easiest way. In other words, you’re creating a musical environment in which each orchestra member can do his or her job of playing. At the concert, physically, the conductor makes certain the tempos are correct, the entrances are correct. But you’re also creating an atmosphere for the best possible performance. I had a wonderful professor, my conducting teacher, Mr. Kin, who explained it in a way I’ve never forgotten. He said that a conductor is responsible for creating an artistic atmosphere, and that artistic atmosphere must seep into the orchestra and seep into the audience during the performance. So I remember Mr. Kin’s words to me all the time – ‘an artistic atmosphere.’ That’s very poetic. What an orchestra really needs is inspiration. It needs technical information, but it also loves to be inspired to play each piece of music with the full feeling that’s been embedded in it by the composer, any piece of music. That’s the orchestra conductor. Now, a music director has an entirely different set of responsibilities. The music director is the resident leader of the orchestra, and that’s in any community, whether it’s the Beloit Janesville Symphony or the New York Philharmonic. So the musical director does everything I’ve just described to you, and in addition, is the liaison between the orchestra, the board of directors and the community. The musical director works closely with the board in every aspect related to the orchestra – fundraising, public relations, community outreach. We have a school program that I helped to design, which I’m very proud of, that’s in its second year, called ‘Composing Kids – Making Music with the Maestro.’ Greg Gerard, our director of operations, goes into the schools with a computer, just goes into a fifth grade classroom of kids that have never had music composition. He gets them on a keyboard that’s interactive with the computer and spends five minutes with each student, who creates a phrase of music. We put it all together with orchestration and perform it in concert for the first time for the entire school. We’re very proud of this program. It’s unique. We’re the only ones in the country to have it. And that’s an entirely different purview than just getting up and conducting a Beethoven symphony. So that’s the long-winded answer to your question. NWQ: Given all that you do, what do you most enjoy about your job? Actually, performing the concert. Everything – everything – I do is a ramp-up to the two hours of performance. That’s the best part for me — getting up in front of that orchestra and watching all of the hard work come together, feeling the pride of orchestra and feeling the audience response. It still gives me goose bumps. If I could walk in without any rehearsals and achieve that, I’d be happy. But it doesn’t work that way. The community outreach is tremendously gratifying, too. For the second year, I’m so inspired to get in front of those school kids with the orchestra and conduct the students’ music. Then, to turn around and see the looks on their faces, after they’ve heard notes that they pecked out on a keyboard just a few months earlier played by a full orchestra, is just a treasure. It’s beyond words. It’s priceless. NWQ: What can be done, in your opinion, to expose younger generations to a wider range of music, beyond what organizations like yours do? It’s the issue that faces every orchestra, every music director, and every board of directors, in this country – I daresay, in the world. Europe is different, culturally, in that it is the birthplace of symphonic music. Our culture here is very different. In America, the challenge we’re faced with is not only a lack of exposure but also the downturned economy. People have limited amount of entertainment dollars, and they’re going to spend those dollars on the things that give them the most pleasure. So it’s not enough to say, ‘Come out and hear the symphony and support the symphony, because you should.’ We have to reach out and grab people, create an exciting and interesting event, something that they can’t get anywhere else. That’s the challenge. So we’re making an interface between the world of symphonic music and the popular culture of the United States, and we’re doing that in several ways. One is by creating a hybrid, a connection between popular music and symphonic music. So we’re excited about all of that, but specifically the connection to what you and I are talking about. Here’s a perfect example of someone blending the cultures. So the April concert’s going to begin with me conducting the orchestra for Tchaikovsky’s 4th Symphony, and then intermission. Then Susan will come out, in concert dress, with her violin and play Mozart’s Violin Concerto in G Major. Then she’ll go backstage and bring out the winner of the student concerto competition, a high school student who’s going to play with the orchestra. Then, Susan will come back out in rock star regalia with a purple, electric violin, we’ll add a couple of electric guitars, and with the orchestra, play a piece I wrote, ‘Symphonic Suite for Electric Violin and Orchestra,’ from the CD. So you’re really going to be able to see the stark contrast between the standard classical performance on violin of a Mozart piece, and then Susan, with her souped-up electric violin, performing music that points the way to the future. That’s one way to do it. The other answer to your question is pops concerts, offering something that’s going to reach out to a non-traditional symphony audience. Our opening concert in October is “Hurray for Hollywood,” an entire evening filled with popular music from Hollywood movies, game shows, TV shows. That music was originally played by studio symphony orchestras and heard on soundtracks, so to be able to see it performed and hear it in a live environment is a lot of fun. And that reaches out to a non-traditional symphonic audience. We’ll get people in the audience who probably aren’t interested in listening to a Mahler symphony but they’re going to be very, very interested in this. Another thing we do is our collaboration with the Beloit International Film Festival, which is entering its seventh year, and we’ve done this every year. The culminating event of the festival is the orchestra performing a live symphonic soundtrack to a classic silent film. We’ve done it six times before and they’ve all sold out, and they’ve all been different. It’s quite an experience. People who come for the first time are surprised. And one of my favorite comments was, ‘Maestro, I hope you’re not offended, but after 20 minutes, I was so involved in the film that I forgot there was a live orchestra.’ And my response was, ‘No, that’s exactly what we want, for the music to draw you into the world of the film.’ That’s what’s supposed to happen. So it’s great when it does. NWQ: What do you think is the most common misconception people have about a symphonic performance, or coming to the symphony? The most common misconception is that it’s going to be boring and stuffy. The second is that they’re not going to understand it, because the world of Beethoven is so foreign to our world that [his music] has no relevance. The happiest thing I do is to try to completely dispel these misconceptions. I come out and give a pre-concert talk, and it only takes five minutes to create a context between what Beethoven was going through when he was writing his Ninth Symphony and the issues that face us now. Because it’s all about the human condition. That hasn’t changed. The clothes have changed. The times have changed. The technology has changed. But the passion of the human condition remains the same. And that’s what makes a connection with symphonic music and that’s what creates an arc between the culture of the past and the present culture and the culture of future. It’s the ongoing arc of the human condition, which I find fascinating. NWQ: What process do you go through when you’re getting ready to conduct a piece? As music director, the first thing you do is choose the piece. In fact, you choose the repertoire for the entire season, whether working alone or with a program committee. Sometimes, members of the orchestra are on the program committee. The considerations for choosing a piece of music are various. There’s the aesthetic, and then you need to balance a number of variables. One is finding music to introduce to the audience that they’ve never heard before. As music director, you know the favorites your audience loves to hear, and you balance it with pieces they’ve never heard. That symphonic suite in April is something that they’ve never heard, obviously, and I think – I hope – they enjoy it. So you need to learn the score backwards and forwards. This is done through sheer study and science, and once again remember – I can prepare for two months, six months, whatever. For the October concert [‘Hurray for Hollywood’], I’ll be performing something like 20 pieces. And I have exactly two rehearsals to put that together. NWQ: Besides your Planet Z concert, what performance are you most excited about in the upcoming season? There are a number of things that are exciting about this upcoming season. In addition to the five regular concerts, we’re instituting a new series this year, the Allegro Series, three performances throughout the year on Sundays, which feature smaller chamber groups or soloists. In November, for the first Allegro series, we’re having a wonderful soprano, an up-and-coming, talented soprano we’ve worked with before, Sarah Hibbard. She’s coming up from Chicago to perform a light repertoire with a piano accompanist. Later on in the year, we’ll be doing two more in the Allegro series, one with our resident French horn quartet, led by John Wunderlin, who’s a great hornist. He’s going to be doing the history of the French horn and various aspects of that. It’s going to be great. And finally, the last allegro series we’re doing one of the most fascinating pieces in the repertoire, Igor Stravinsky’s L’histoire du Soldat – The Soldier’s Tale – written for seven instruments. This is for narrator and orchestra. It’s an amazing piece that I’ve conducted several times. NWQ: So basically, you’re excited about the entire season. Incidentally, since we’re talking about making an audience connection, another way to do that is with the spoken word. One of the most popular pieces to be done all over the country on the Fourth of July, since it was written in 1943, is Aaron Copland’s Lincoln Portrait, which is for narrator and orchestra. A narrator comes out and says, ‘This is what Abraham Lincoln said,’ and he takes you through the words of Abraham Lincoln. It’s about a 20-minute piece. Very inspiring. And I’ve composed a piece for narrator and orchestra in the same vein that’s being marketed nationally, in hopes that orchestras across the country will do it on the Fourth of July. It has a twist. It’s called The Mindset Suite: The Things We Hold Dear. It’s based on writing done by two professors here at Beloit College, Tom McBride and Ron Nief. It’s a book that’s a best-seller, called The Mindset Lists of American History. It’s become a nationally-syndicated segment that’s on “Good Morning America” and other stations across the country, and it looks at the world through the eyes of 18-year-olds. Typically, The Mindset list is compiled annually from 18-year-olds entering college that year. For example, they don’t know what ‘cc’ stands for, and they’ve never seen an actual carbon copy. They don’t understand the phrase ‘bigger than a breadbox’ because they’ve never seen a breadbox. The book was released on the Fourth of July, so the authors composed a script, called “The Mindset Suite of American History: The Things We Hold Dear.” It looks at things through the eyes of 18-year-olds at critical times in our nation’s history – the Revolutionary War, the Civil War, World War I, World War II the War in Iraq, the present. It’s a 20-minute piece. So the music I’ve written behind that piece ties the eras together, like ‘Rally ’Round the Flag,’ ‘Pack up Your Troubles in Your Old Kit Bag,’ along with original pieces. And so we did it on the Fourth of July and it was a big hit, so we decided to market it nationally. 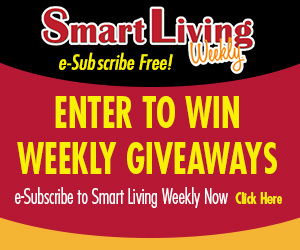 NWQ: What advice would you give a first-time symphony-goer – what to listen for, watch for? I would say just to come with an open mind. If you come and say, ‘Well, I want to hear something classic’ or ‘I want to hear the strings’ or ‘I want to hear Mozart and nothing else,’ you’re going to miss an opportunity to really expand your ability to experience the joys of concert music. Directors put on programs with a collective variety of pieces. You may hear a Mozart piece and a Brandenburg concerto in the first half, and after intermission, you may hear a piece from an emerging 20th century composer with which you are unfamiliar. And that’s the musical language. So I guarantee if you go in with an open mind and just let the music wash over you, you’ll have an experience that will be personal and very, very rich. That’s my suggestion. NWQ: Why are there no guitars in an orchestra? Is it too modern an instrument? The guitar actually goes back to the Middle Ages and is based on the lute. The classic guitar, the style we know today, came out of Spain in the 1800s. There are concertos written for the classic guitar, some wonderful pieces. We did one a few years ago that was absolutely beautiful. But when you perform them, you have to be very careful, because the guitar is a very soft instrument. It doesn’t have a lot of projection, and that’s the main reason it’s not a standard instrument in an orchestra, not because it’s a more modern instrument. NWQ: What does the score that the conductor follows look like? If you’re familiar with a sheet of music, there are two clefs, made up of staves, or lines. The treble clef on top shows the high notes, those above middle C, and there’s room for a five-note chord. The bass clef on the bottom has the lower notes. A conductor’s score looks like that, except that each staff represents a group of instruments. The top staff of the treble clef is the violins, and below that the flutes – those with a higher range. And the lower notes are given to the cellos and the tubas and the oboes, instruments with a lower register. So a symphony score may have 40 staves, with the sections grouped – the horns, the woodwinds, percussion. So it’s all of the different parts spread between the two clefs. NWQ: And you’re able to take that all in? As you listen to the entire orchestra and follow that score, are you able to hear individual instruments or sections? It’s very interesting. I started conducting in graduate school, and the first time you stand up in front of a symphony orchestra to conduct, you can’t hear everything. Your ears aren’t used to it. You’re literally only hearing what’s 10 feet in front of you. But the more you do it, your hearing literally expands. And now, when I’m conducting, I can literally hear everything that every instrument is playing, all the time. Now, a piece of music is made up of measures, and one measure goes by like that [Tomaro snaps his fingers]. So you can’t look at 40 versions of the same measure all at once. So what you’re doing is getting an impression of the whole thing and you’re conducting. You’re really looking for the portions of the music that are going to require your cue. The tuba, for instance, has been sitting quiet for 200 measures and it’s about to come in. You have to cue the tuba player. You make sure he’s ready. That’s your responsibility. No matter what else is going on in the score, that’s something you have to make sure to do. NWQ: Do you have to get the tuba player’s attention? Oh, he’s ready to play. He’s there to perform, so he’s been waiting for his turn. It’s like a ball player waiting on the bench. He didn’t come to sit. He came to play, and he’s not going to miss his chance. NWQ: Do you practice conducting without an orchestra? There aren’t really set movements to master. It’s a dynamic art. You do have to learn to keep time, and the right hand is largely for that. The left hand is responsible for giving dynamic cues, shaping the music, indicating pauses, creating atmosphere. A lot of gestures a conductor makes are not related to a specific thing but to the entire experience. Bringing your hand down with an open palm may mean slower or softer, depending on the portion of the score. It’s more to create an atmosphere or convey a feeling. By the way, one thing a conductor must learn to do is have the right hand work independently of the left hand. The first thing you have to learn is to count with your right hand [Tomaro moves his right hand as he counts] – one and two and three and four, one and two and three and four – that took a long time. Then, with your left hand, you need to indicate a crescendo [Tomaro clenches his left hand and raises it dramatically in increments while still counting with his right] and continue with one and two and three and four. It took years to master. So great conductors of the world have right and left hand independence. But that’s the only thing that they agree on when it comes to conducting. Every conductor has his or her own style. Leonard Bernstein was a big, ebullient conductor. His technique was married to his tremendous energy and passion. The music was evoked from the orchestra through his entire body. NWQ: How would you describe your conducting technique? Let me put it this way. What do you think is the biggest compliment a musician could pay to a conductor? It’s not going to be what you expect. Those are both great. But the biggest compliment is, ‘Thank you, Maestro. You were very clear.’ ‘Clear’ is the best thing to hear. What does that mean? It means you delivered a clear vision of the piece. It’s a visual language. I could conduct in Copenhagen without speaking a word, because it’s an international language. NWQ: What else can you say about being a symphony conductor? It’s the best job in the world. It incorporates music. It incorporates theater. You have to be a master psychologist. You have to be a spiritual leader. You have to be a capable musician. You have to understand every instrument in the orchestra. Now, I can’t take an oboe and say ‘Play it like this’ and demonstrate. But I know that the oboe has different issues than the violin in playing the same notes at the same time. All of the instruments have different issues, and you have to understand what those are. I will say, I wish that the music conservatories and colleges in the world had programs that turned out conductors and music directors who are better prepared to handle the 90-percent of the job that has absolutely nothing to do with conducting a symphony. I want them to teach them how to interact with the community, how to interact with the board of directors, how to develop a season, how to balance a budget. I need more than my knowledge of Mozart or Beethoven when I plan a season. I’m given a budget and told, ‘Don’t spend more than this.’ I have to figure in musician cost, sheet music cost, space cost. The actual conducting is a small part, time-wise, of what I do. 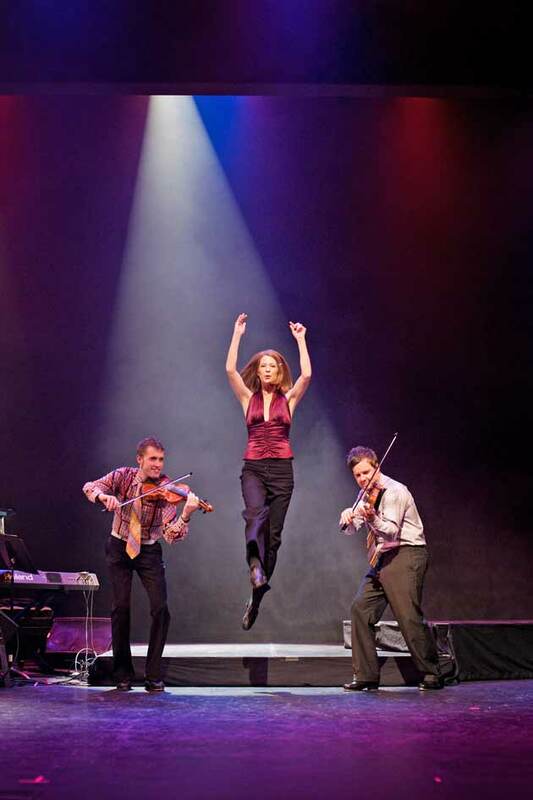 Irish dance group StepCrew will perform for RCCA’s 2012 “Reach for the Star” program. Mary Ann Smith is the president of the Rockford Coronado Concert Association’s Board of Directors. She has been a tireless advocate for the arts in Rockford. In 1999, she was named Outstanding Fundraising Volunteer by the Rockford chapter of the Association of Professional Fundraisers. For her efforts on the Friends of the Coronado capital campaign, she was a recipient of the Illinois Humanities Council’s Studs Terkel Humanities Service Award in 2002. NWQ: What do you as the purpose of musical organizations like RCCA in a community? 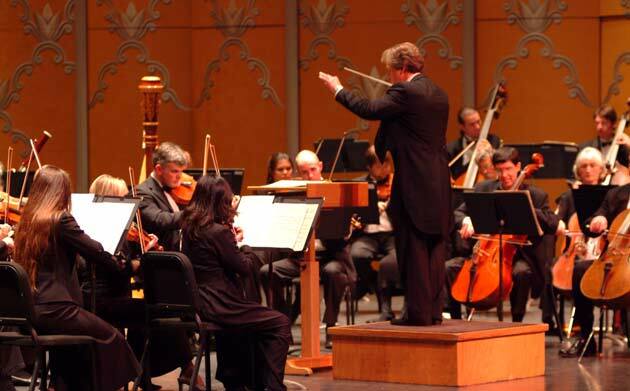 Our mission is to bring world-class performances, both classical and semi-classical, to the community. Now we’re striving to include some types of world music. We bring these performers to the Coronado stage in Rockford, at a price that’s affordable to most, so that they can experience them right here in their own hometown. These are people who have succeeded in an artistic endeavor – whether it’s playing an instrument, performing a dance or ballet – in a way that’s attracted attention the world over. We’re reminded in the exchange that this is all the real thing. There’s no second take. There’s spontaneity. An enormous amount of genius goes into a composition. We listen to Beethoven’s music time and time and time again because we recognize his musical genius. We watch choreography because we recognize that such an artistic endeavor, often, is what makes a difference in the fullness of our lives. NWQ: What does an artistic director do? With our board, I try to lead us in the direction of five performances every season, from fall to late spring, where we have a balance of dance, soloists, ensembles. We have a balance of disciplines so that we’re able to introduce our audience to different kinds of music over a period of time. One year we might have a piano soloist, and another year a violin soloist, or at least an orchestra where a violin solo is played. We try to bring balance, and we like to think that if our audience stays with us over a period of time, they will be introduced to all kinds of performers, music and dance – not just folk music, not just ballet, not just modern dance. But over a period of time, we’ve given them the opportunity to experience them all. NWQ: What is your biggest challenge in attracting those kinds of artists to perform at RCCA? NWQ: What prevents some people from attending these live performances? People travel to broaden their experiences. I think they ought to go to the concert hall to broaden their experiences. Modern audiences, in particular, need to be reminded that behind everything they put in their ear, everything they touch to produce letters, everything that rings and they answer it, is human genius. And I think that the concert experience, that exchange, shows that in its very essence. So just try it. You’ll like it. NWQ: What RCCA performances are you most anticipating? I’m always excited about all five of our concerts. I’m very, very interested in the music of South America, and we have the first American tour of the premier Venezuelan choir, Schola Cantorum de Venezuela. I think it’s going to be very exciting and lively, a multicultural experience. You’re going to see young people who have come up through the Venezuelan channels of music education that begins early in life. Gustavo Dudamel [internationally acclaimed conductor] is a product of this movement of young people in music education that they require and they value. We have sort of thrown music education by the wayside. So I’m excited about that Venezuelan, because it will demonstrate what early exposure and upbringing through the arts can accomplish. While we in this country have somewhat abandoned arts education, in Venezuela, they have embraced it. NWQ: How did you become involved with RCCA? My parents started taking my to performances when I was five years old – I was born in 1951 – so I’ve been doing this for a long time. So I’m trying to preserve this for future generations. And I think live performance is more important now than ever, with music so readily available in digital form. NWQ: What are some suggestions for getting younger audiences interested in experiencing these kinds of artists and performances? In regard to bringing younger audiences to the fore, one thing we do every year that I’m very proud of is a concert called ‘Reach for the Stars.’ This year it will be the StepCrew, lively Canadian and Irish step dancers that also tap. We’ll bring every fourth grader in District to the Coronado in the morning for an hour-long performance by StepCrew. We do this every year. This will be our 10th year. It’s really an important thing. We bring children to the Coronado and let them see architecture like they’ve never seen before, let them look at a big stage, in a big auditorium and part of an audience made up of others just like them. Then, the lights go dim and they see that animated scene, and we hope that will bring them back to the concert hall to try more things. They get a Q&A with the performers afterwards. ‘Reach for the Stars’ at the Coronado has the goal of exposing children to something more than television and the iPod and all those things. We have testimonials from kids who have been through the experience over the past 10 years, who say, ‘I’ve bought tickets for every dance performance that’s come to Rockford since,’ or ‘I wanted to be a dancer after that. These testimonials let us know that it’s made a difference. 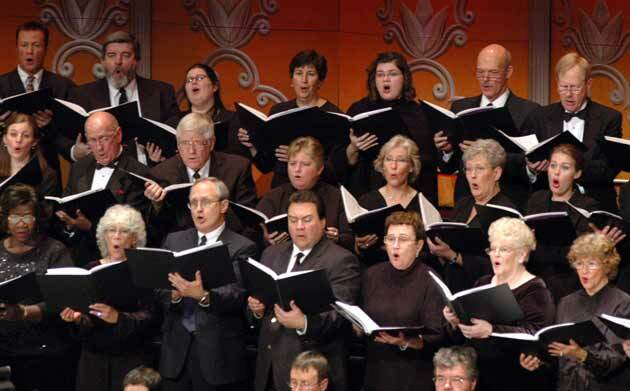 The Mendelssohn Chorale has been performing in Rockford since 1974. Martha Bein is the music director of Mendelssohn Chorale, part of the Mendelssohn Performing Arts Center in Rockford. Her extensive musical background includes serving as chorus master of Chicago Opera Theater, Lyric Opera Cleveland and the Bel Canto Foundation. She has been a member of the arts faculty at several private schools, and she conducted the Rockford Choral Union’s Messiah for eight years. In 2004, she received the Mendelssohn Performing Arts Center’s Starr of Excellence Award. Bein works at St. Mark Lutheran Church as director of the Music and Worship program. NWQ: What’s your musical background? My mother was a music major at Oberlin, so learning music in my childhood wasn’t an option – it was a given. My father wasn’t a music major, but he is passionate about music, and there was always singing. So I started piano lessons when I was five, primarily because I played by ear – I could read music but I played a lot by ear — and my mother was concerned that I read music and develop that skill a little bit more. I took piano all through college, when most music majors don’t take piano that long. I studied violin in middle school, started voice lessons in high school, and when I graduated from high school and decided to become a music ed. major, I had to make a decision about whether I was going to choose piano or voice as my major instrument. The reason I went for voice is because piano majors spend an awful lot of time in the practice room all by themselves, and for vocalists, it’s a much more collaborative activity. NWQ: Did you teach when graduated? I did. I’ve had one foot in church work and one in academia all my life. My first teaching job was in an Ohio public school, and for the first year, I was split between elementary and junior high. Then, I was at a junior high for five years after that, and I’m actually passionate about that age, because I think they’re still very impressionable. Elementary kids are still so much influenced by their parents, whereas high schoolers are more into their boyfriends and girlfriends and jobs. But with middle school kids, you really have a chance to expose them to opera and classical music and really maybe open up a world to them that they otherwise might not have the opportunity to discover. The main part of my teaching career was in independent schools, Laurel School, which is in Shaker Heights, Ohio, and Lake Forest Academy, in the Chicago suburbs, and then at Keith [Country Day School, Rockford]. I was at Keith and St. Mark [Lutheran Church, Rockford] simultaneously, but now I’m full-time at St. Mark. And all the time that I’ve been teaching, I’ve always had a church job somewhere. NWQ: Are you a performer, as well? I’m really grateful for what they’ve given me. I look back at being encouraged to practice, and having two summers at Interlochen [a respected summer fine arts camp in Interlochen Mich.], which is almost completely not affordable for anyone anymore, and they don’t even run it for the whole summer anymore. But that changed my life as a high school student. But I think that there was always a bit of Midwestern practicality in the way I was raised, that meant I couldn’t let my light shine too much. I wish now I could have had a fifth year at college to pursue more performance opportunities. So yes, I do some performing, and I’ve started doing a few more weddings and funerals than I used to do, because I used to give those opportunities away to other people. But I’ve come to realize that it’s something I really enjoy, and there’ll come a point where I won’t be able to do that but I’ll still be conducting. So I decided I should be singing while I can still sing. I feel very grateful for the conducting career I’ve had, but at the time I was starting, the gender issue was a struggle. I still run into those issues now, as a female conductor. NWQ: Are you strictly a choral director? I did conduct a community orchestra when I was in Ohio. One of the great opportunities I had in my life, which wouldn’t have happened had I not been a teacher, involved an organization out of New York called the Klingstein Center [Teachers College, Columbia University]. It very heavily funds continuing education for independent school teachers and administrators. In my mid-30s, I spent a year at Teachers College, Columbia University, on a fellowship, where I met a couple of times a week with 11 other teachers from other independent schools and did seminar work. The fellowship included being able to take anything I wanted to take at Teachers College or Columbia University. So I undertook a pretty intensive orchestral conducting study that year, and that led to the position with the community orchestra in Shaker Heights. Then, when I got to Lake Forest, and at Keith as well, I did instrumental music. That led me to the Conductors Institute in South Carolina, which is orchestral. It’s a fairly competitive summer program to be accepted into, and I was accepted into the top tier of that. NWQ: Tell me about the Mendelssohn Chorale. There’s been a chorale in existence since 1974, and I believe Ralph started it, and if he didn’t start it, he re-nurtured it, so that there were performance opportunities. It’s my understanding that each year for almost 20 years, they did a concert with a small instrumental ensemble, presented for free at Trinity [Lutheran Church], where he was the music director, as a gift to the community. Over the course of the years that I’ve been conducting – which goes back to 1993 – for the first five or six years, we continued with that tradition. Then, at some point, we were asked to sing with the Rockford Symphony, and the whole history of choral singing in Rockford at that time began to move to a different level. There’ve been new conductors at Rock Valley and Rockford College, and the turnaround time at RVC in terms of the growth and quality improvement of that choir was fairly quick, because it’s a two-year college and they turn members over a little bit faster. But Paul LaPrade has done a wonderful job with things there, and Timm Adams has made a phenomenal change in the quality of music-making at Rockford College. It would seem that we all work in our little silos. But we don’t, because it’s a community, and people cross-sing and they know what’s going on in other places. So one of the things that happened at about that time was that Mendelssohn Chorale initiated section leaders, who received honorariums for their positions – not anywhere near what an instrumentalist would get with an orchestra, but at least enough to say ‘Gee, we really value your participation.’ For the first year we had eight, and now we have 12 for each concert. So what that did for singers in town, who weren’t really sure they wanted to be singing and not being paid, or singing in a choir and not get solos, is up the ante for them. So now we have, I think, a lot of the really, really fine singers in Rockford as part of that group. The other thing that was the little twist, when you were asking about ‘Do you perform?’ is that the Holiday Pops concert features the 12 section leaders as a small choir themselves, which we call Il coro piccolo, or ‘The Little Choir.’ So they like that. They get to come downstage and do their own little set by themselves, and it’s great. It’s really been good. So we’ve had two situations in the last three years where we’ve performed with the Chamber Orchestra, which has been a group of maybe 40 or 50 singers, by invitation only. So it’s not as select as the 12, but it’s a smaller group, in order to balance with the Chamber Orchestra. So now we sort of have this three-tier system – the section leaders, the chamber choir, and then the larger, symphonic choir. NWQ: So that broadens the opportunities for performances. Correct. One of the issues with the way things were was that it was great doing the cathedral concert with Ralph, but it was a matter of putting a choir together for one event a year. Choirs aren’t the same as orchestras. Orchestral musicians are quite used to coming together and rehearsing for a week and performing. But choral singers need to listen to one another, and sing together a lot, in order to get the balance and blend they need in order to sound like an ensemble, as opposed to 100 different singers, singing at the same time. NWQ: So how many performances does the chorale hold each year? Well, we’ve kind of settled into a three-performance season – one with the Rockford Symphony, and then the Holiday Pops with the Rockford Symphony, and a chamber-size group with the Mendelssohn Chamber Orchestra. And we’re looking at ways to expand that. The problem comes not so much with a lack of willingness from the chorale. You mentioned speaking with Rob Tomaro, who’s a little bit on the academic schedule. And Steve, certainly, performs more during the academic year, though the symphony isn’t tied to starting on Sept. 1. So what happens with a lot of choral organizations or orchestral or any performing organizations, really, is that they want to have a concert the week before Thanksgiving, because they started rehearsing at the beginning of September and that’s when they’re ready. And then everyone wants to have one during the first week in May. Those are the times that all groups have concerts, and there’s a lot of competition for dates and audiences. So what we’re trying to do is not manufacture performance opportunities but create opportunities that will be meaningful but also don’t overlap exactly the same timing as everyone else in town. Over the course of the last couple of years, the program director at WOMANspace, Gail Kettler, and I have worked together at starting a hospice choir, and we have a core group of singers. We haven’t really done anything for a few months. We worked initially with Northern Illinois Hospice, and all of us have had their first level of training. Then we had a whole bunch of rehearsals, because again, you can’t have the same people available at the drop of a hat to always perform together. So we had to develop a repertoire that would work, whether it was S-A-T-B or S-A-B or whatever. So that’s another performance opportunity. That didn’t come out of Mendelssohn, but it’s kind of how, as singers in Rockford, we’ve tried to come up with another opportunity to share the gifts that we have. NWQ: At Mendelssohn, do you strive for a full range of voices – first and second sopranos, altos? It depends on the repertoire. I’m in an interesting position with Mendelssohn in that, except for when the small group sings at the Holiday Pops concert, I’m the chorus master – I guess some would refer to it as the choral mistress, but I always think that sounds a little suspicious. Bein laughs. So I’m the chorus master, which means I don’t conduct the performances. Every once in awhile, I will. I’ve conducted some things with the orchestra, and Mendelssohn did a big piece with 40 or 50 hired performers and members of the Rockford Symphony, hired by SwedishAmerican Hospital about six years ago to do a performance of “Sing for the Cure,” which is an hour-long piece about breast cancer. We did that at the Coronado. But generally speaking, my role is to have them prepared and hand them off to another conductor. That being said, I’m not the repertoire selector. It’s run by me, and a lot of the selection for RSO happens over the dinner table. But Stephen Squires, who’s the conductor of the chamber orchestra for Mendelssohn, and their executive director and I converse about what pieces are good for the chorale or not good for the chorale. Sometimes personnel plays into it. We are always struggling. We can always use more men. That’s one of the reasons it’s really nice to do the chamber pieces, because we can get a good core of men together and then balance that with women. Sometimes we do things that split into eight parts. It just depends on the repertoire. So the simple answer is yes. But it’s the repertoire that drives it. And certainly, the people in the ensemble are capable of hanging onto those parts. NWQ: So you don’t personally choose the pieces to perform? No, not the ones we do with the orchestra. When we’re doing the small sets for the Holiday Pops, yes. And I certainly have input into what we’re doing with the orchestra. I’m sure Steven’s shared the line-up with you. Last year we did Carmina Burana and it was a particularly fiery performance conducted by a guest conductor from Italy, which took a little bit of adjusting for everyone. But it was a huge growth experience, and an incredibly fiery, passionate performance. So I told Steven we needed to do something beautiful this year. So that’s the input I give. Steven’s not a huge John Rutter fan [British composer, born 1945] but we originally were going to do this huge John Rutter piece, but we switched that around because of some other programming decisions he had to make. So now we’re doing ‘The Rutter Gloria’ which we’ll be doing for the Holiday Pops. So it will be nice to do a really nice piece of classical music then. But the Fauré Reqiuem will be the big piece with the symphony this year, and that is just a gorgeous piece of music. A lot of people in the chorale have sung that before, but most of us have sung it in situations where we were in church, doing it with a small orchestra. So to do it with a full symphony orchestra – there’s great horn writing in it, and harp, and it’s going to be really exciting. To have the whole orchestra come in on the “Libera Me” is going to be really exciting. NWQ: What do you see as the role of a community chorale? My passion is relationships with people, and music is the vehicle to do that. I think it brings together people who might otherwise not have any reason to be together, to work toward a common goal that they value. In this case, it happens to be music. We have people from all walks of life represented in the chorale. We have a judge. We have several doctors. And then we have lots of people who don’t have lots. And what it does is put everyone on a level playing field. NWQ: If you could be any musical figure, past or present, who would you be, and why? It would probably be a musical theater person, but I’d have to think about it. NWQ: I always wanted to be Karen Carpenter. I think we all have someone we admire in that way. I didn’t know if you’d come up with Lady Gaga …. [Bein laughs.] It wouldn’t be Lady Gaga. I think that’s a generational thing. And Barbara Cook [1950s Broadway musical star] is too old. And Mary Martin could be, but she wasn’t really a musician. There’s part of me that wants to be Margaret Hillis [founder of the Chicago Symphony Chorus], but I’m softer than Margaret Hillis. [Bein laughs.] Even though not everyone would say that I am! NWQ: If you had unlimited repertoire, budget and talent, what would you do with the Mendelssohn Chorale? So I guess I’d like to have bold and daring singers, and a really balanced, 100-voice choir that could sing not only major works but also other music. I just returned from Argentina, where I attended the Ninth World Symposium on Choral Music. It’s held every three years in locations all over the world, and this is the first time it’s been held in South America. There were 22 choirs representing different countries, and it’s just really powerful to hear repertoire that’s from all over the world. Some of it was sung by choirs from that country, some sung by choirs from other countries. But it’s an amazing way for people to connect. So I’d like to have a deeper and eclectic repertoire base. I learned how to beatbox [creating percussion sounds using vocals] while I was down there. I also heard a lot bright Latin American folk songs, and the Filipino choir sat in a circle and sang towards one another. There was Zulu and Xhosa. There was Latin church music. What we weren’t told before we got there was that planes weren’t flying because of the volcano. Anything south of Buenos Aires required bussing. So everyone who attended took a 20-hour bus ride to get there. While I was down in Argentina, one of the people who was staying at my hotel who was from America happened to be Weston Noble’s younger brother. Weston Noble was choir director at Luther College for 56 years or something like that. He has a real tradition in Lutheran church music. His younger brother, who’s 80 years old, was on this trip, and it turns out that he was a board member of the choral union and taught in District 205 back in the 50s and 60s. NWQ: How often do you hold auditions? Actually, for the largest group that sings with the symphony, we don’t have auditions. Anybody can come in and sing. So it’s open to everyone. I’m also a real task master, and I’ve found that’s it pretty self-selecting. People who don’t want to work that hard, don’t want to be there. So people can just call Mendelssohn and say they’re interested in the chorale, and they’ll get give them the information. This entry was posted on Friday, October 14th, 2011 at 12:00 pm	and is filed under Arts & Entertainment, Top Posts. You can follow any responses to this entry through the RSS 2.0 feed. Both comments and pings are currently closed.